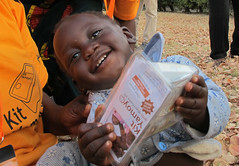 Today (Sunday, 30/1/11) is our last full day in Zambia this trip and we’ve been invited to lunch! We need to return the vehicle we used for the Mpika trip to its rightful owner so I nipped out and got it cleaned although you wouldn’t have known it half an hour later . . . it’s still raining. At lunch we met the last key person we wanted to see this trip (thanks Charlotte, again!) Susan Hunter is the Chief of Party for the STEPS OVC* Project. 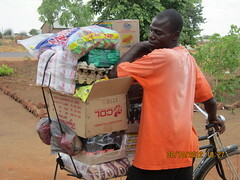 The STEPS OVC** Project is a partnership that includes World Vision, like its predecessor, the RAPIDS Project. RAPIDS created a network of 15,000, voluntary ‘Community Carers’. Among other things, the STEPS OVC Project will increase this network to 23,000 with representation in all 73 Districts in Zambia. Judging by the kind of work they do, these could be ideal ‘Community Agents’ for the ColaLife Pilot, working at community level to ‘sensitise’ people – as it’s called in Zambia – to the benefits of the AidPod Mother’s Kit. Susan is a whirlwind of energy and ideas. She seemed very positive about working with ColaLife and there may be other areas of our proposed pilot that her programme will be able to help us achieve. It is early days yet but good to have made the link and started the conversation on potential collaboration possibilities. What a great way to end our trip! 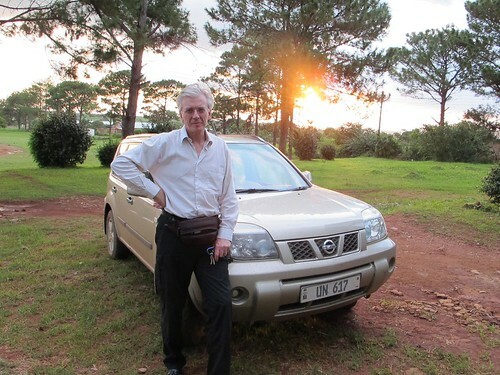 Tomorrow I will blog about the next steps towards a ColaLife pilot in Zambia. ** STEPS OVC is funded by The President’s Emergency Fund for AIDS Relief (PEPFAR) of the United States Agency for International Development (USAID). The project builds on the expertise and geographic coverage of six leading international and local non-governmental organisations besides World Vision: Africare, CARE International, Catholic Relief Services (CRS), Expanded Church Response (ECR), the Salvation Army (TSA), and the Futures Group. STEPS OVC also collaborates closely with another USAID-funded project, the Zambian Prevention Initiative, on designing prevention initiatives, economic empowerment, capacity-building, and referral mechanisms.